Green Passion is a balanced organic cleansing green superfood. 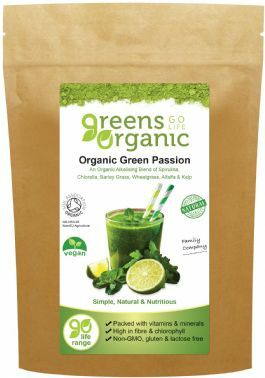 Green Passion is a balanced Organic green cleansing superfood. 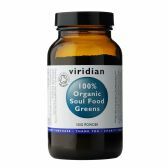 It’s made with powerful alkalising greens, including Spirulina, Chlorella, Barley Grass, Wheatgrass, Alfalfa and Kelp. It mixes easily in water and has a very mild, refreshing green taste, it’s also high in iron and B vitamins. Soil Association certified ingredients: Organic Spirulina, Organic Alfalfa, Organic Barley Grass, Organic Wheatgrass, Kelp, broken cell wall Organic Chlorella, Soil Association certified. - 1tsp of Organic Green Passion.